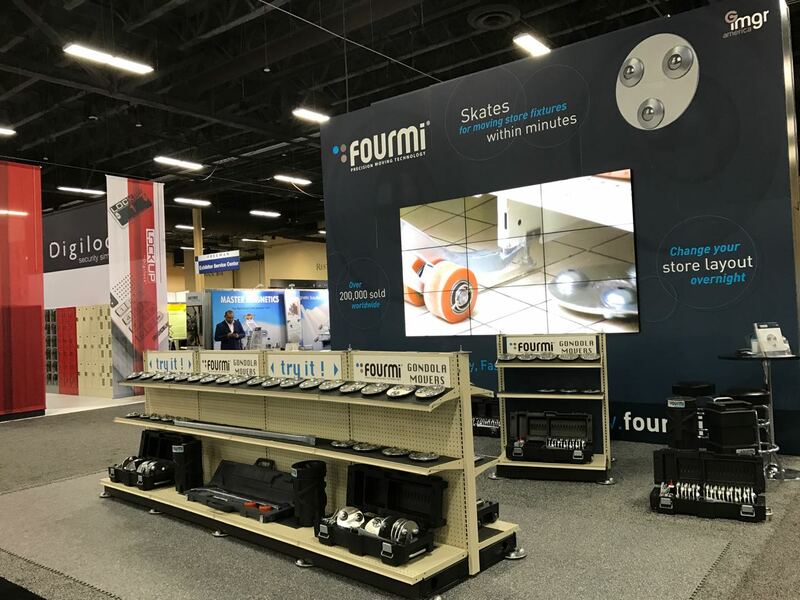 FOURMI Skates at Globalshop 2017 - Las Vegas, Nevada. Thank you all, we had a great time in Las Vegas and we hope you enjoyed it too! Thank you so much for stopping by our booth and testing FOURMI on our 16 ft. gondola run. We also had a small 1 section unit for busy times. Both gondolas kept moving for 3 days! To all our customers and new visitors, we are ever so thankful for the great feedback we received from you all. 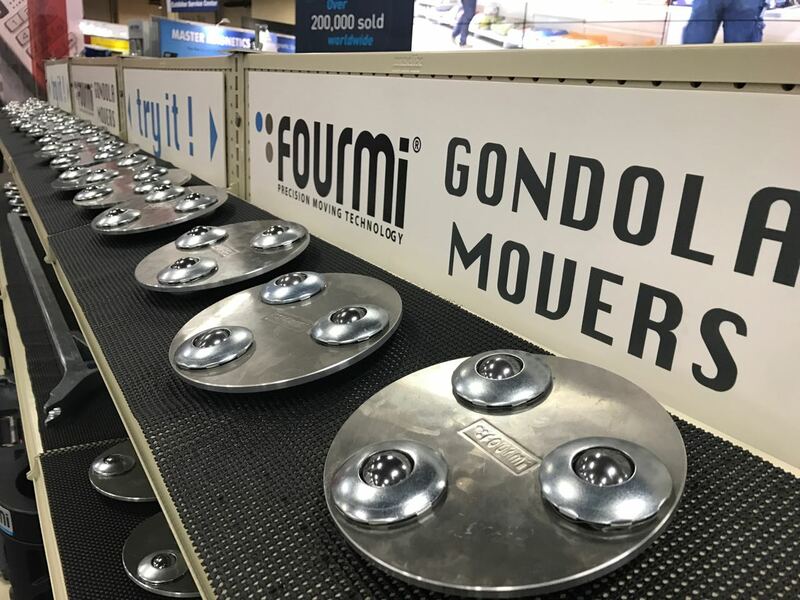 If you didn't have the chance to attend and discover our FOURMI Gondola Movers you can always watch us move store fixtures in this video or contact us now. See you in Chicago next year! GlobalShop 2018 will be at McCormick Place in Chicago, IL March 27-29, 2018. FOURMI Skates will be at booth #4324 in the Store Fixturing section. We hope to see you there! 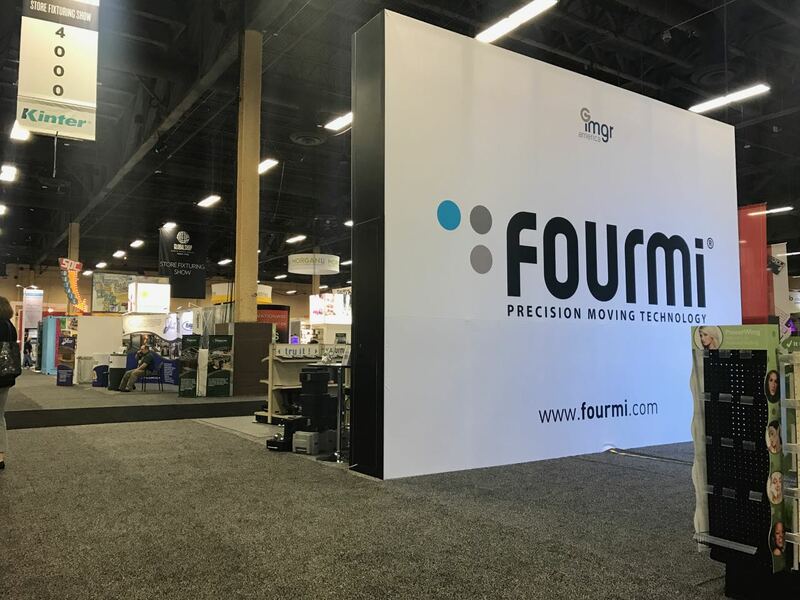 FOURMI at GlobalShop 2017 - Las Vegas, Nevada. 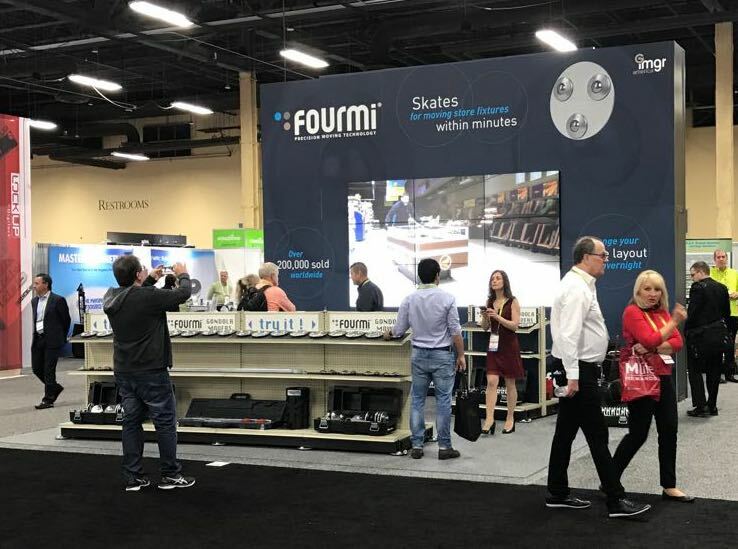 FOURMI shelving skates were in Nevada during GlobalShop 2017. FOURMI is also called fixture movers, gondola rollers, shelving wheels, atlas movers, shelving skates, display truck and fixture casters. Thank you all for visiting our booth in Las vegas and for testing our shelving skates.